Accessibility: The jailhouse stands in an empty lot. 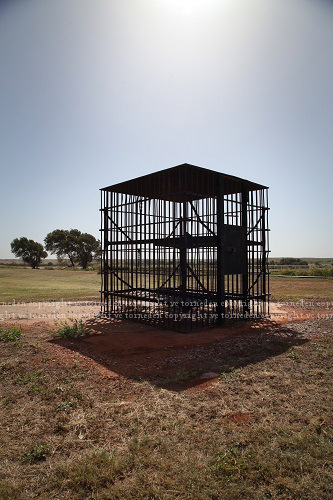 History: Calaboose and open cage temporary cells once dotted the small beginning townships of the old west. 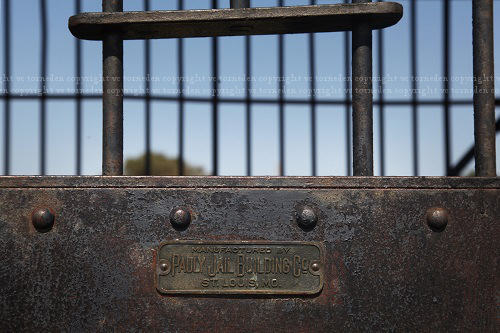 As boomtowns and settlements cropped up in the old west, law enforcement would be hard pressed to catch up in many respects but most especially with regard to the building of jails. 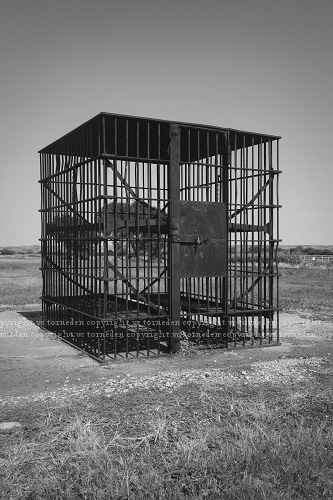 Nevertheless, in territories brimming with outlaws a jailhouse was among the first needs of infant towns. 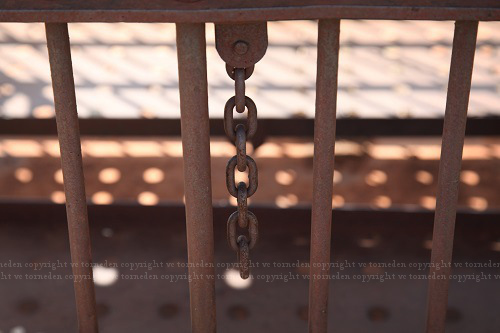 The solution came in the form of strap iron and iron bar cage cells, simple cells that could be set up anywhere to provide a temporary jail until an actual building could be built to replace it. 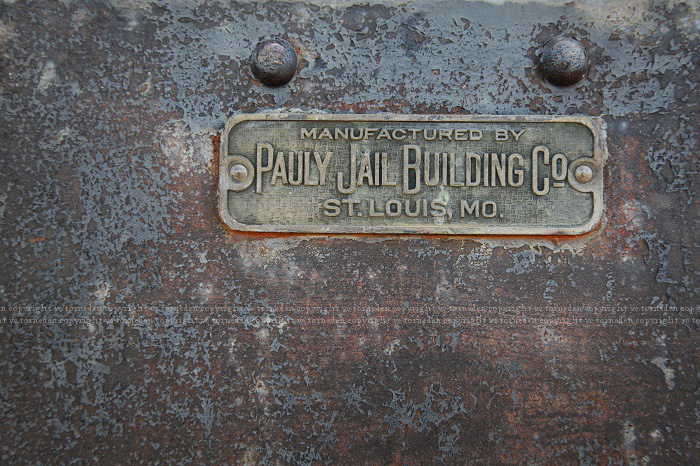 This cage this example from the Pauly Jail Building Company out of St. Louis (they still exist and make jail equipment, by the way) is one of the remaining examples of its kind in Oklahoma.